is an executive gathering dedicated to being a new catalyst for innovation. GBX brings together supply chain managers, thought leaders and business strategists to illuminate and address key pain points across the clinical and pharma supply chain realm. The 2018 program was focused on key topics such as GMP compliance, transport management software, overcoming pitfalls in customs delays, planning and forecasting, change control, machine learning, QP release and Industry 4.0. In addition, keynote sessions included thought-provoking topics such as blockchain, artificial intelligence and horizontal collaboration. Out of the 20+ speakers, Logistar partner Ahlers (represented by Miguel Van Asch) presented how big data can be used to find collaborative opportunities in transportation. He demonstrated relevant case studies, presented the Physical Internet and showed how data analytics can play a big role in identifying horizontal collaboration opportunities. In this context, the Logistar platform was presented to the audience as a real-time decision-making and visualization tool for freight transport, with the purpose of delivering information and services to the various agents involved in the logistic supply chain. With this, extra visibility and awareness for the Logistar project was created with more than 50 European companies. 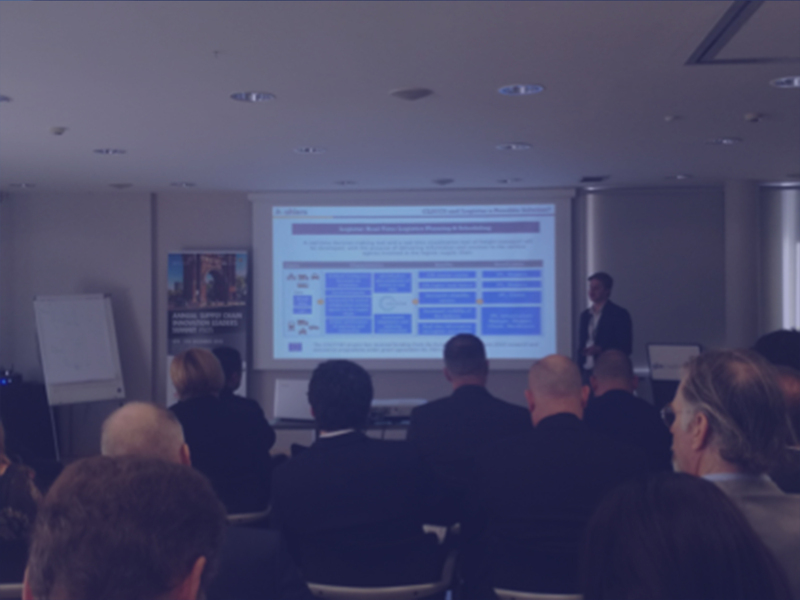 Last but not least, an open invitation was extended to the audience to follow the Logistar progress and to become part of the industry advisory board.